Earlier this year, console gamers were able to enjoy one of the best games of this generation, while PC gamers were left out in the cold with nothing more than a well-worn copy of Skyrim. They just might be hope, however, as Eurogamer has heard through grapevine that Grand Theft Auto V may be coming to PC next year. 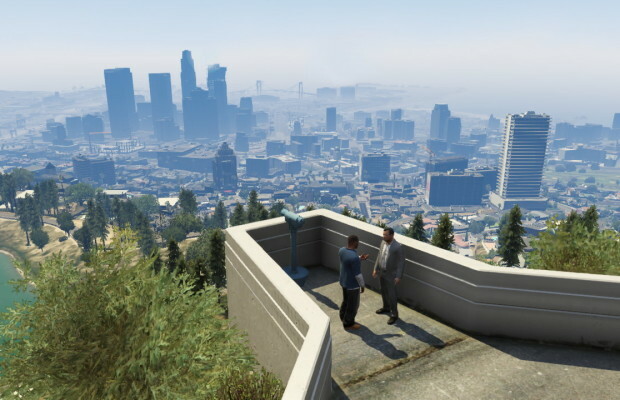 Eurogamer cites “multiple industry sources” as saying that the open-world opus will be coming to the PC in the first quarter of 2014, and reminds us that Grand Theft Auto IV had a PC release several months after the console version. Apparently Nvidia’s Senior Director of Investor Relations, Chris Evenden, let slip that the game was on its way during a financial call listing examples of the upcoming “strong roster” of game releases, which was quickly corrected by the same company stating that there was no knowledge of such a port existing. Rockstar, for its part, has stated that is has “nothing to share” regarding a PC port. It seems odd that Rockstar would opt out of a PC version of the game, but caution is understandable given the fact that the GTAIV PC port is an abject disaster. If the developer can spend the amount of time on the latest installment as they did for Max Payne 3 on PC, as well as not use Games for Windows Live, we will be good to go–as long as those industry sources are correct. Will you get the game on PC if it shows up? Tell us in the comments or find us on Facebook and Twitter!